We railway modellers are a funny lot. Our hobby has been around for at least a century and in that time we’ve merged a children’s toy and an apprentice’s engineering practice piece and turned them into a hobby with the aim of creating a realistic world in miniature, of which we are master. Where our layouts are concerned, it’s those last four words that are important. That’s where our own character enters into the equation, and our personal characteristics dictate the kind of layout we have. It may be a free-for-all, figment of our imagination where there’s no obvious historical period or geographical location, or it may be an accurate-to-the-millimetre rendering of a particular location at a precise moment in time. If you’re modelling Hill Valley at 10.04pm on November 12 1955, should Marty and the time-machine be there, or not? From time to time, on the internet modelling forums, I see people wrestling with the decision-making. 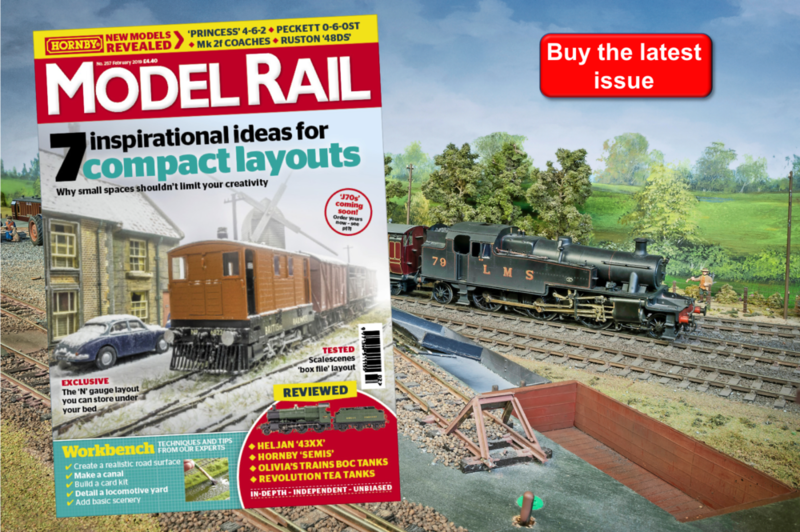 There’s a new model that they really like, and they wouldn’t hesitate to buy it, but it doesn’t fit with their chosen layout theme, date or location. They then get into convoluted scenarios as an excuse for said model to be in the wrong place at the wrong time. Just why might a Hornby Huntley & Palmers Peckett be at Bason Bridge on the S&D? Of course, there are unlikely scenarios that did actually happen, like Western Region ‘16XX’ 0-6-0PTs in the North of Scotland and the Caledonian 4-2-2 running on the Southern Region, but coming up with a justification for the ‘Brighton Belle’ on a non-electrified GWR line is not so easy. Why do we care? 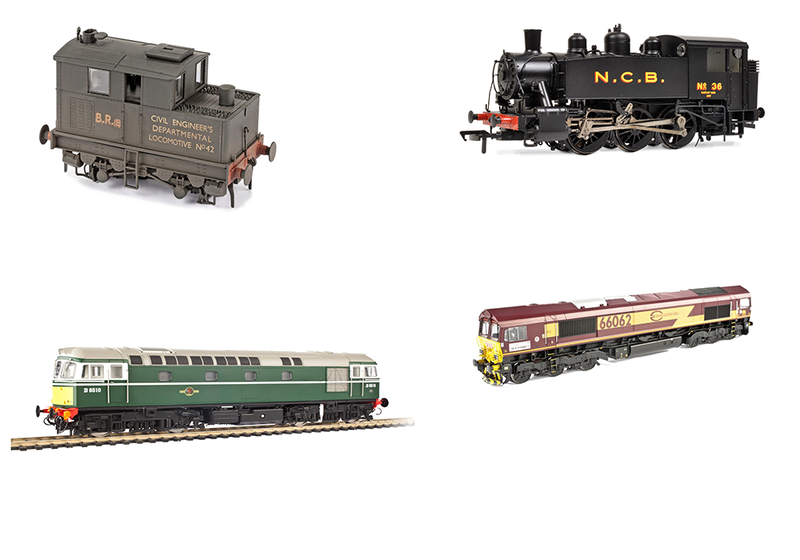 Isn’t the hobby about the fact that we love model railways and there will always be that one (or perhaps several) distinctive and really ‘special’ train that’s outside our main area of interest. 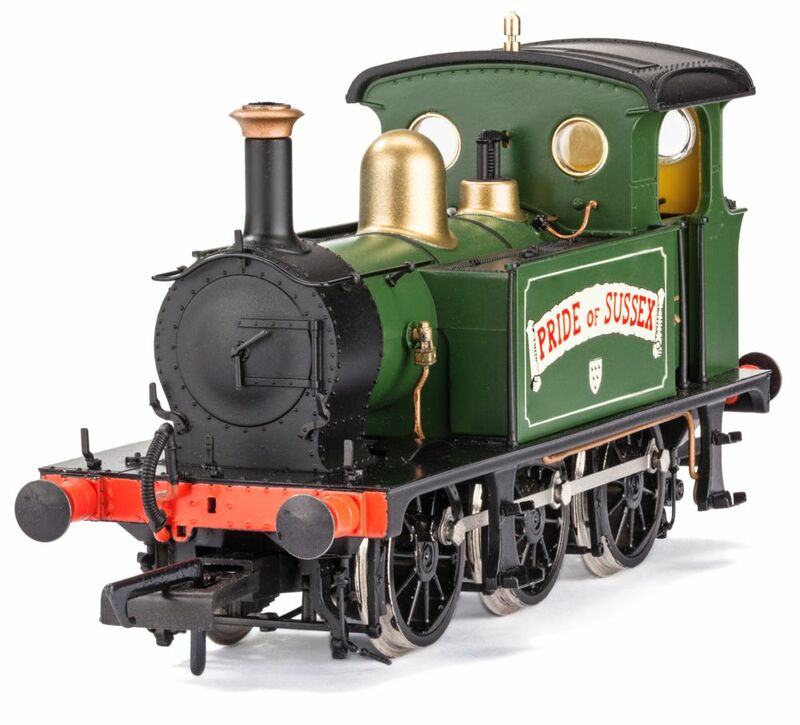 If there’s a model we like and it’s the right gauge, we should be able to buy it, run it, and above all enjoy it, without the need for some nefarious justification. I’ve seen it described as Rule 1. I don’t think I’ve ever actually seen a definition of Rule 1 but I take it to be ‘It’s my layout and I’ll run what I like’. So be it. I’ve just bought a Hatton’s ‘P’ class 0-6-0T. I saw the review sample and thought ‘I can’t resist that’. There are lots of different liveries but I had no doubts about which one to choose. I don’t have a flour mill on my layout and it’s not set in Sussex, but I recall an early visit to the embryonic Kent & East Sussex Railway in the mid-1960s. The KESR was a scattered operation at the time. Most of their members were dealing with a ‘Terrier’ off the road, having split the points in Robertsbridge yard. Others were rubbing down a GWR railcar in a field at Rolvenden. Everywhere, the track was overgrown. We wandered around a bend at Robertsbridge, and there standing dead on a siding was a green ‘P’ class emblazoned with ‘Pride of Sussex’ on the tanks. The whole scene oozed character and charm. I reached for my camera but I was out of film. Luckily my companion had colour slide film in his camera and took this picture. My Hatton’s ‘P’? Well, it’s running on my layout, pulling Kernow’s ‘Gate Stock’ and, in the words of a certain fast food chain, I’m loving it. Unjustified or not. Change. Good, bad or inevitable?